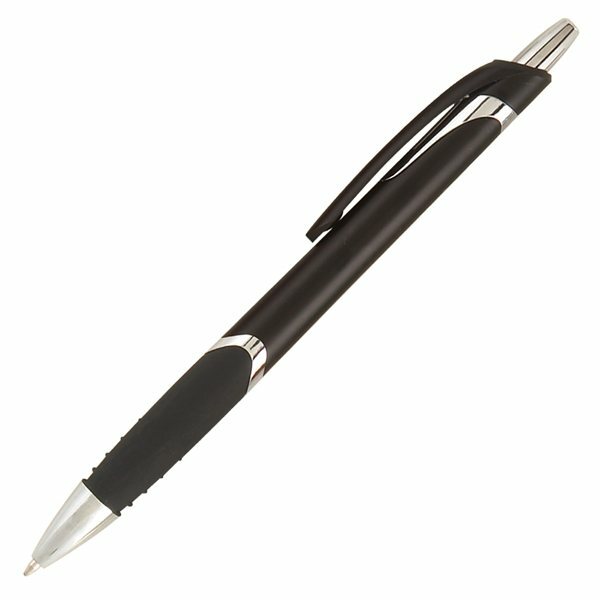 The Solana Grip pen features a black rubber grip and a quick-click plunger, for a smooth and comfortable writing experience. 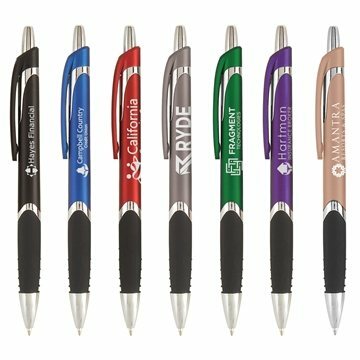 An affordable plastic pen with metallic curb appeal, the silver accents and imprints make this pen stand out from the rest. 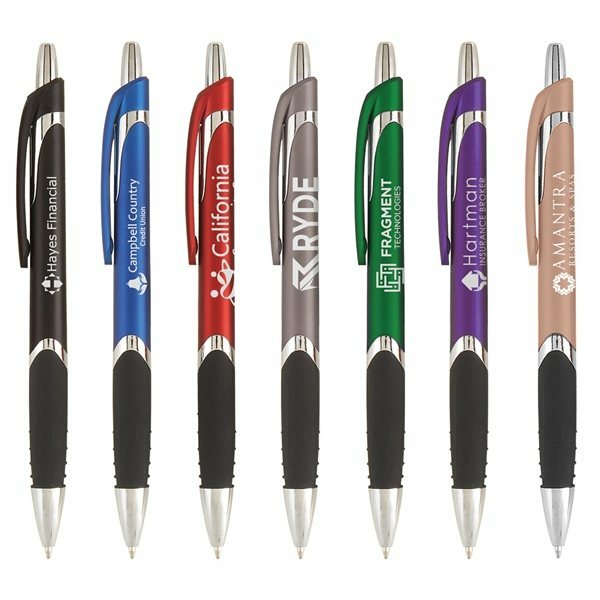 Great for clipping to brochures and collateral at tradeshows and events.